Luxperience, now in its fifth year, is heading for its most successful event ever. 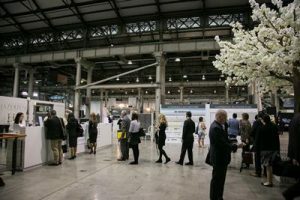 In less than a month, a record number of elite travel buyers will converge on Australia Technology Park from 18-21 September to connect with the travel industry’s leading luxury and experiential proponents. There has been a 20 per cent increase in overall buyer registrations for this year with 60 per cent of these registrations attending Luxperience for the first time. Many of these first-time buyers have not been to Australia previously but recognise the networking and educational opportunity Luxperience offers. The largest number of national buyers in the event’s five year history will be attending along with a strong presence from elite buyer consortia. Leading international buyers group, Traveller Made, found last year’s event so effective and enlightening that it will have over 25 agents attending this year’s Luxperience, a 150 per cent increase on last year. The group will be expanding its foothold into the Australian market in the coming months. Virtuoso affiliates will also have an increased presence with a number of travel buyers from both around Australia and the world attending Luxperience 2016. “To assist our buyers in their constant strive for perfection in business, we have incorporated exclusive personal development seminars into the program this year,” says Michelle Papas, Director of Marketing and Buyer Relations for Luxperience. The seminars will be hosted by different industry luminaires each day from style guru Henry Weinreich Roth and social media master Annabelle Smith to hotelier and health awareness advocate Anne Biging. The interactive and innovative sessions on social media, wellness/mindfulness and personal branding focus on current trends influencing the business world today.